Seriously, when a service like Google Maps becomes faulty and provides misleading directions I'd think twice about complying to its suggestions. 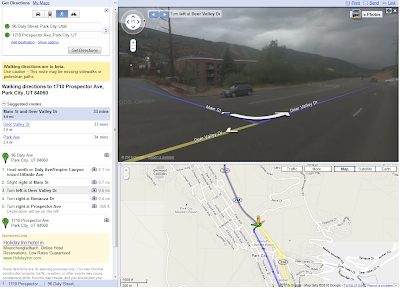 For instance, who on earth would cross a main highway prone to speeding vehicles because Google Maps said so? Certainly not me; I'd look for an alternative route. A woman named Lauren Rosenberg did otherwise though. As result, she was struck by a vehicle, whose owner the former is currently suing along with Google. This suit is, suffice to say, ridiculous; Obviously the woman is demanding the defendants to pay for medical expenses caused by her own stupidity. I won't go much into details as many online magazines such as PCWorld has caught up with this laughable news originally reported by Search Engine Land. All in all this woman simply lacked the common sense to follow road rules and instead relied on a service that even says it is currently in beta and provides sufficient warning. The road where common sense failed yet again.